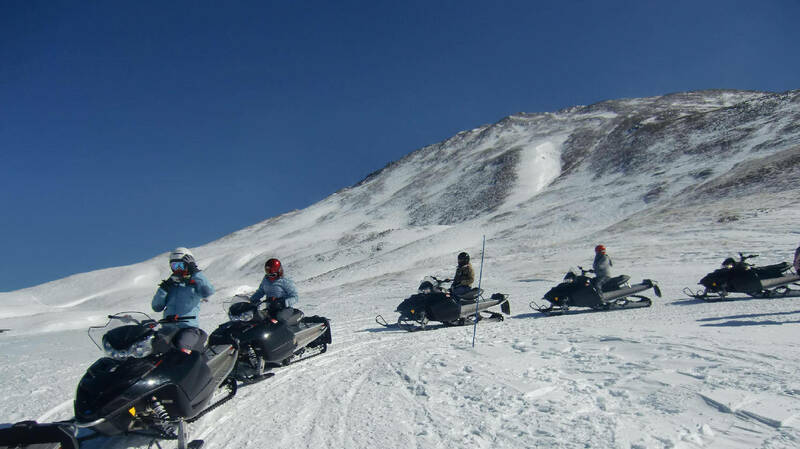 Snowmobiling in the majestic Rocky Mountains that surround Summit County, Colorado is an exhilarating experience. Whether renting snowmobiles to adventure out on one’s own, or taking a guided snowmobiling trip, the exhilarating experience becomes etched in the minds and hearts of the adventurer. A recent snowmobiling excursion to the top of the Rocky Mountain divide was one of those moments, with 360 degree views of the mountain peaks and the sun sparkling off of the pristine snow. And after the runs up and around the bowl at the base of the peak, and an exciting ride back down, hot cocoa and treats were awaiting the happy family of mountain adventurers. The perfect day was followed by the perfect evening, as the crew relaxed in the steaming saltwater hot tubs at Grand Lodge on Peak 7, home away from home for those who love Breckenridge but can’t find a way to live there permanently. Luxury fractional real estate ownership at Grand Lodge on Peak 7 is the solution for those who are drawn by the charm of Breckenridge, but can’t live there year round. Luxury fractional real estate provides deeded ownership, property appreciation benefits, customized real estate based on individual needs from studios to 4 bedroom luxury condos, inclusion in a world class ski in, ski out resort with every amenity imaginable and none of the hassle of full home ownership. This entry was posted on February 7, 2013 by elevatemarketingaz. It was filed under Fractional Ownership Real Estate, Fractional Real Estate Breckenridge, Fractional Real Estate Breckenridge Colorado, Grand Lodge on Peak 7 Breckenridge, Colorado, Luxury Fractional Real Estate Breckenridge Colorado, Real Estate Breckenridge, Real Estate Breckenridge Colorado, Ski In, Ski Out Luxury Condo Breckenridge Co, Ski In, Ski Out Luxury Condo Breckenridge Colorado and was tagged with Breckenridge, Breckenridge Colorado, Breckenridge Colorado condos, Breckenridge luxury condo sales, Grand Lodge on Peak 7, ski_in_ski_out Breckenridge condo.